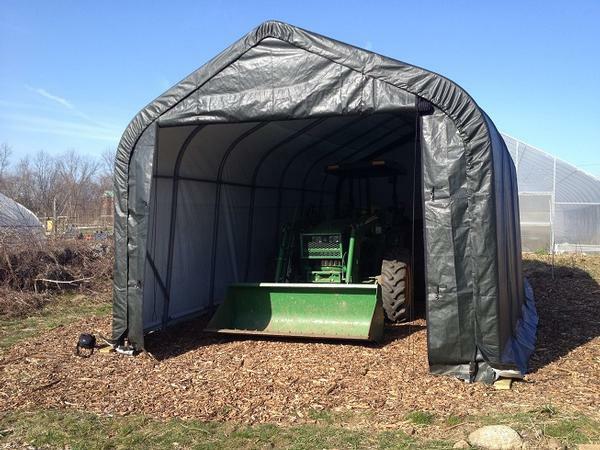 Peaked frames in varying widths, lengths, and heights characterize the basic design of our house-style agriculture shelters, or portable barns. 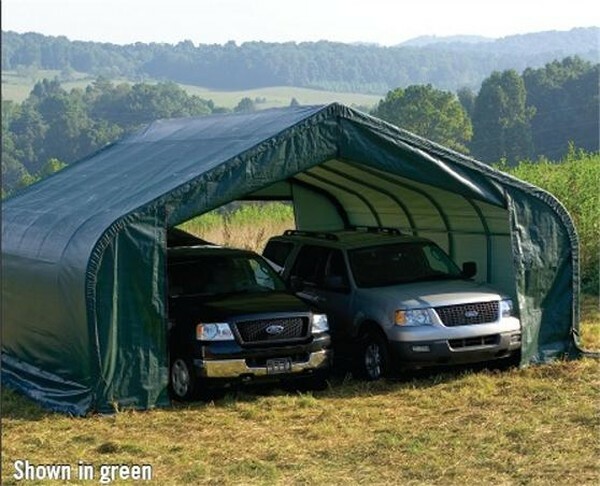 Beyond this facet, each shelter offers long-term, sturdy construction for protecting all essentials on a farm. 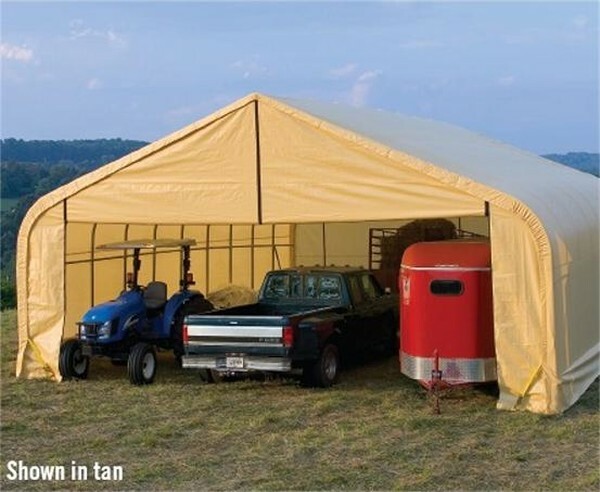 UV-blocking and waterproof qualities ensure equipment, hay, and crops stay dry and rot-free throughout the year. 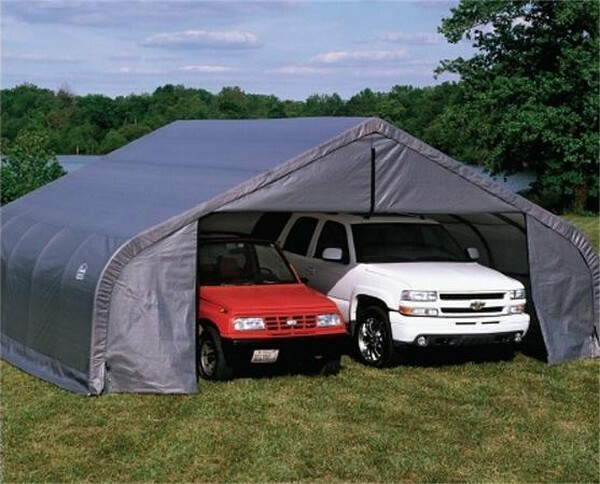 Coupled with this, the durable powder-coated or galvanized steel frame provides the necessary strength against the weather. 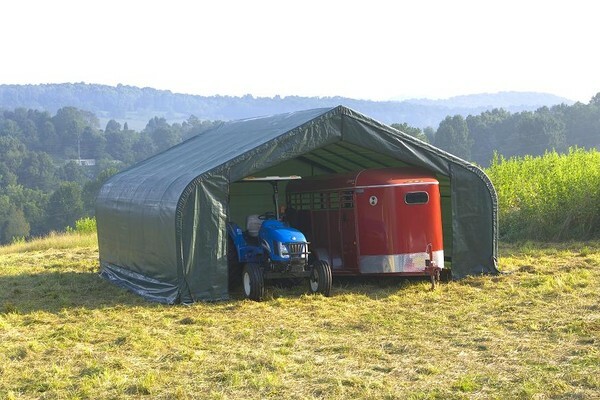 For small and large farm storage needs, our selection of house-style portable barns has you covered. Aside from checking state and local ordinances and codes, measure the size of your investments and supplies, and then browse our selection to find the perfect fit.